Estimate the percentage – a fun game, perfect for the interactive whiteboard. 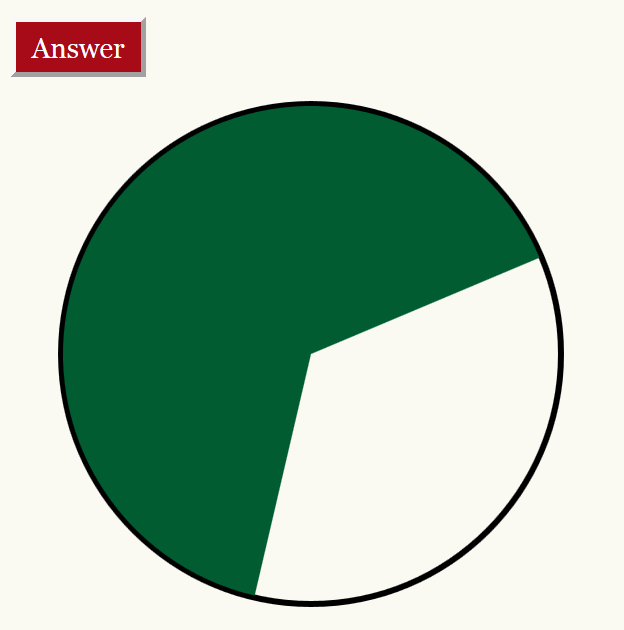 Estimate the percentage of the circle that is coloured green. Write down your guess. Click the red “Answer” button to see the actual amount that is shaded in. Your score is the difference between your estimate and actual amount. The aim of the game is to get the lowest possible score. Click the green “Play” button to play again. And that’s it. Simple, fun and a great way to practise percentages. Use your knowledge of fractions to help you – half the circle is 50%, a quarter is 25% etc. Don’t forget, it’s the percentage you’re trying to guess! This entry was posted in Games, Numeracy, Shape and space. Bookmark the permalink. Post a comment or leave a trackback: Trackback URL.